So we left this morning headed to Maryland to visit family and stay 2 nights in DC. We decided to stop for the night in Roanoke, VA. 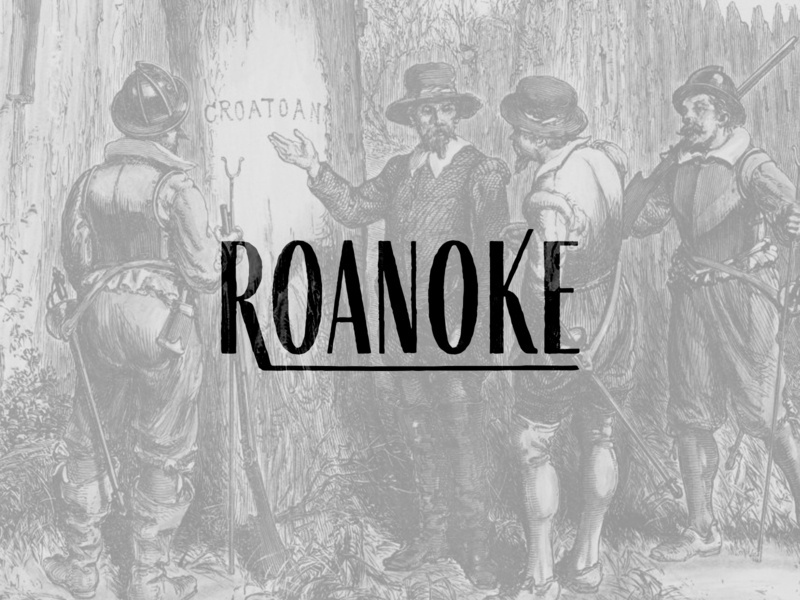 I was mostly enthused about the stop because I assumed it was where the unsolved mystery of the lost colony of Roanoke took place, but I realized it's not the same place. Either way, here's a word mark I made for the Roanoke Colony (now Dare County, North Carolina).